Completely adaptable – dismountable and reusable components. Clean air: consistent high quality internal surface. High flow rate performance: full flow connection and low friction internal surface of the pipe. 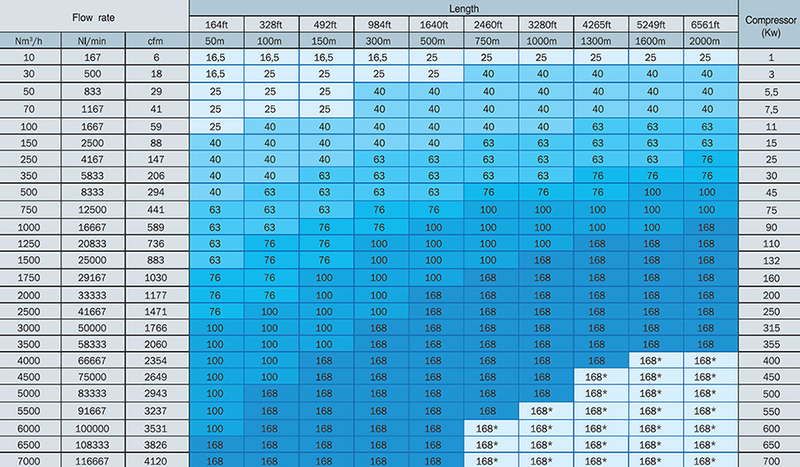 Optimum sealing: Calibrated pipe diameter. 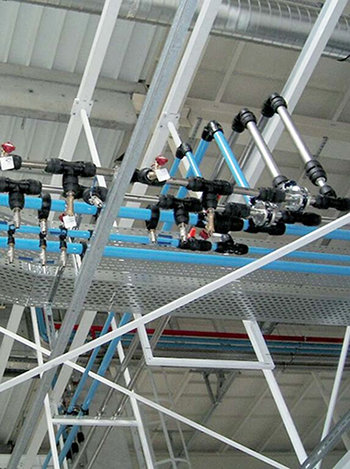 No preparation required: Pipes and fittings are supplied ready for immediate installation. Time saving: Quick assembly – no need to weld, glue or crimp. No in-depth training required: easy to assemble. Easier working on site: Lightweight, easy to cut pipe material. System quickly ready for test and use: Immediate start-up. This brand’s compressed air pipe systems are quick to install and ready for immediate pressurisation. Components are removable, interchangeable and allow for immediate and easy layout modifications. The “full bore” design of Vastair components, the low friction coefficient of aluminium pipe and the sealing characteristics of the system ensure optimal and constant flow throughout. These systems are designed for both primary and secondary distribution systems used for compressed air, vacuum and inert gases, from the smallest workshop to the largest factory. Vastair aluminium pipe ensures a total absence of corrosion. The inner pipe surface consistently delivers clean compressed air. Innovative technology at the heart of this product enables rapid and easy assembly: quick connection of components to the aluminium pipe. This technology takes into account the specific requirements of each diameter and provides the user with an optimum safety coefficient and easy connection. 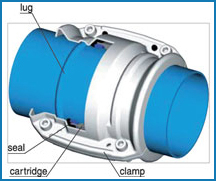 Pipe-to-pipe and stud connectors in Ø 16,5, Ø 25 and Ø 40 can be immediately connected to pipe – simply push the pipe into the connector up to the connection mark. The gripping ring of each fitting is then automatically secured and the connection is safe. 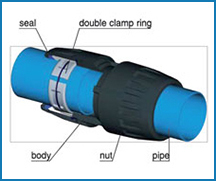 Pipe-to-pipe and stud connectors in Ø 63 can be quickly connected to aluminium pipe by means of a double clamp ring. 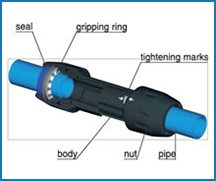 This secures the connection between the nut and the pipe – tightening of the nuts secures the final assembly. Pipe-to-pipe and stud connectors in Ø 76, Ø 100 and Ø 168 can be quickly connected to aluminium pipe. Position the pipes to be connected within the cartridge and close / tighten the clamp. Select the diameter for your application based on required flow against pressure drop. Estimated values for: a closed loop network, a pressure of 8 bar with 5 % pressure drop. Velocity is not taken into account. Air Energy can come to your worksite and complete a full and comprehensive audit of your compressed air piping system. To see if your needs might be better served with Vastair, give us a call today on (03) 9765 5600.